You know that technology moves quickly but WWDC was now so last month. Then there are also times when it's clear a company moves fast because it expects customers to have the memory recall of goldfish. Such as this July when Samsung released a slew of anti-Apple ads. Some of them even had solid criticism but now it's increasingly as if Samsung wants to have its cake and gorge too. This is a 40-second spot that calls out Apple for the notch on the iPhone X range phones. It's a well-made ad that points out an issue with the iPhone and legitimately says that Samsung one doesn't have this. Except it's looking like future Samsung phones will have a notch and then this becomes weird. So does another ad from this series in which Samsung lambasts Apple for dropping the headphone jack -- but now there's reason to suspect they'll do exactly the same thing. Or just in case we're completely wrong and Samsung never has a notch, never drops the headphone jack, there is also the case of the SD card that's already gone. According to the ad called Storage, the fact that the iPhone doesn't let you plug in a MicroSD card is, frankly, the end of civilization. We're just not clear, then, how the world survived the Samsung Galaxy S6 which dropped the MicroSD card slot entirely. All advertising is of the moment but we're not expecting Samsung to issue any ads saying Apple got it right before them, they take it all back. There's also the curious fact that apart from their message, these Samsung ads looked more like Apple ones than Apple's own. That's partly because the Samsung ones were all set in fake Apple Stores and the actual Apple ads tend to avoid showing products much at all. 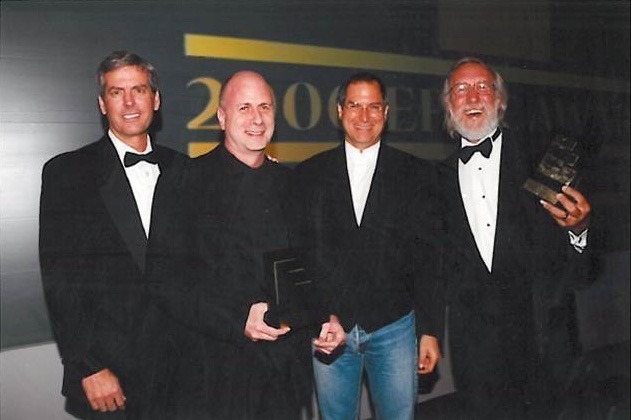 Nonetheless, in July former Apple ad man Ken Segall claimed that the company's current advertising is rubbish. That's not quite the word he used, but it's only slightly more blunt. He actually said that Tim Cook is now being advised by people who are "a little vanilla". "The passing of Steve Jobs created a completely different approach to marketing which we can see the results of," he said. "As a marketer, I look at that and can see the difference between Steve being there -- and not being there -- very clearly. They should be building a personality for the phone, a thing that people might want to be part of because it rises above the features of the moment." At least iPhones don't have that kind of personality where they need to show you family photos whether you want to see them or not. Whereas Samsung Messages this month caused some phones to randomly send photos to contacts without asking you first. Samsung admitted that it was aware of the issue and said that people should phone 1-800-Samsung if they run into any trouble. We can't imagine what trouble could possibly come from this. However, we can imagine the Samsung ad that mocks iPhones for keeping photos on the phone instead of setting them free into the world. Despite Samsung's efforts, Apple did manage to scrape together a living. In its legally-required earnings call, Apple revealed that it the quarter ending in June had been its best-ever. The company had sold $53.3B in revenue and that it had sold 41.3 million iPhones. It's great that Apple, alone of all the phone makers, consistently tells us exactly how many devices it's sold. Otherwise we wouldn't know, for instance, that this month Huawei surpassed Apple as the world's second biggest smartphone vendor. We can't be certain how many phones the firm sold because it doesn't report sales figures. However, wiser heads than us estimated that they'd shifted some 54.2 million. By comparison, Samsung is estimated to have sold 71.5 million phones at an average selling price less than one-third of Apple's. "The continued growth of Huawei is impressive, to say the least, as is its ability to move into markets where, until recently, the brand was largely unknown," said Ryan Reith, program vice president with IDC's Worldwide Mobile Device Trackers. Those Huawei people are going places. We're just not sure where, yet. Maybe the iPhone will forever be in second place so long as Siri continues to be rubbish compared to Google, Alexa and the rest. We'd argue that Siri gets some unfair bashing but in July independent testing said it was getting better. Loup Ventures asked Siri, Google Assistant, Cortana and Alexa some 800 questions and in 99 percent of cases, Siri understood what they were asking. That's up from 95 percent in April 2017 and either figure sounds pretty good to us. Only, understanding what you asked is not the same as answering you correctly. In that respect, Siri only did the right thing 78.5 percent of the time. That's also an improvement on the previous year's figure of 66.1 percent. However, it's trounced by Google Assistant which also improved from 74.8 to 85.5 percent. Still, Alexa only answered correctly 61.4 percent of the time . And Cortana managed just 52.4 percent which is barely even trying. You can be too keen to answer, though, as British defense secretary Gavin Williamson found in the House of Commons this month. Siri interrupted his speech to offer some facts about the topic in question. If you ever think Britain gets falsely portrayed as quaintly old-fashioned on US television, just listen to the reaction that MP got. That's Speaker of the House John Bercow commenting "What a very rum business that is." In an entirely unrelated move, Tom Gruber left Apple in July. He's an artificial intelligence expert who co-founded the original Siri company before Apple bought it. He's the last of the three co-founders to leave. His colleagues Dag Kittlaus left in 2011 and Adam Cheyer in 2012. You know that when you ask Siri something it actually passes the request over to Apple's servers for processing. 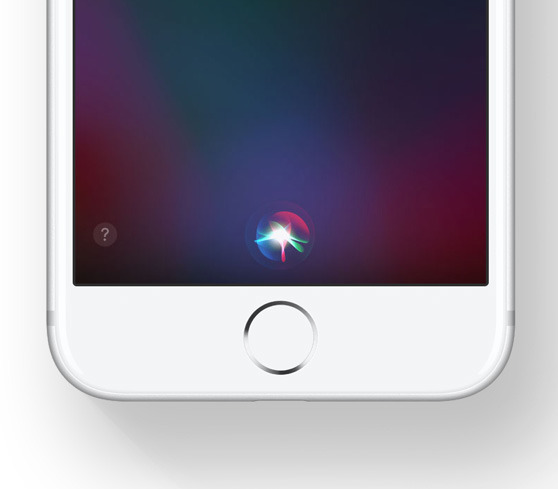 This means that Siri is as reliant on iCloud as every other part of Apple and so, increasingly, us. Which means one move in July was serious. Back in February, Apple complied with new Chinese laws saying that technology firms operating in the mainland have to host relevant personal data there as well. 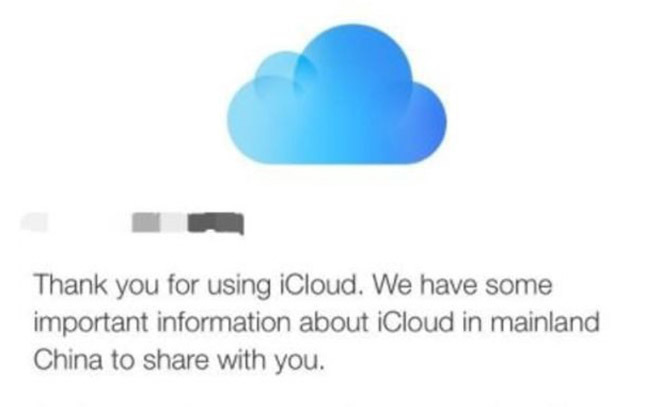 That meant Apple transferring control of its Chinese iCloud data to a local firm, Guizhou-Cloud Big Data (GCBD). This was controversial enough but now in July, GCBD has moved the data on again. It's now all held on servers owned by China Telecom, which is state-owned. While that was going on with users' data in China, Apple was playing nicer in other countries outside the US. Apple announced that its Brazilian Developer Academies would now partner with the Malala Fund to launch projects to enhance education opportunities for women. "Whether she wants to be a developer, a pilot, a dancer or a politician, education is the best path to a brighter future," said Pakistani activist Malala Yousafzai. 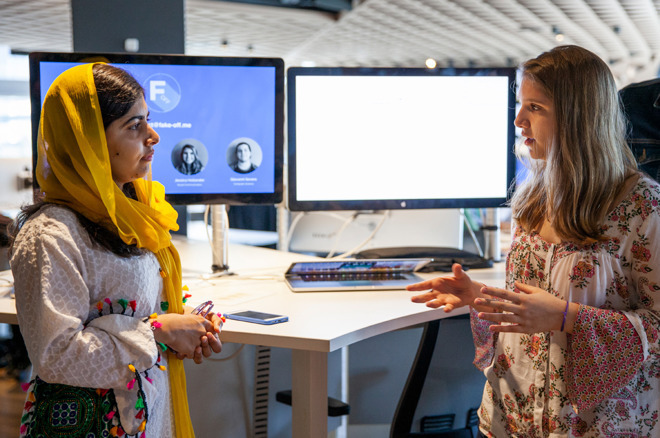 "By tapping into Apple's network of student developers, Malala Fund will gain access to new tools to support our mission of free, safe, quality education. 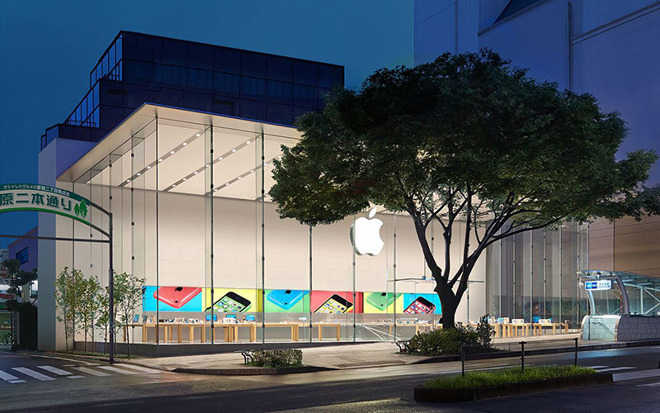 Then in Japan, Apple responded to severe rainfall in the south west of the region by offering free repairs for a limited time. If your iPhone, iPad, Mac or other hardware was directly damaged by the rain -- and if they're repairable -- then Apple would service the devices at no charge. However, Apple was also pulling a Google and closing down one of its popular yet presumably not popular enough ventures. It announced that it was closing its Photo Print Products services. You had until September 30 to order prints, books and so on. It's not as if Apple was the only place to get these services as AppleInsider listed many alternatives. However, we didn't pull any punches. 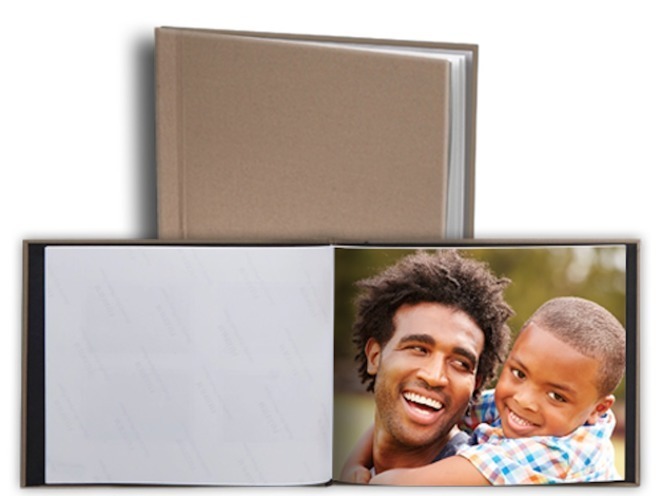 "We've used all of these," we said, "so we're going to say right now that for Apple users, the exiting Photo Print service is superior to all of these from an integration, variety, and overall quality standpoint hands down." 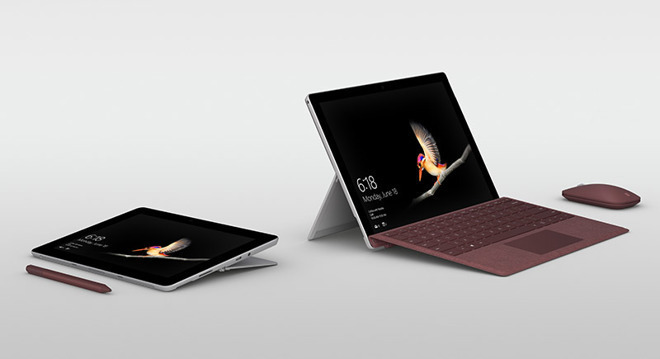 While Apple was shuttering that service, Microsoft was hoping to open up new markets with the introduction of its iPad-killing Surface Go. But, unsurprisingly, the iPad is still here. Still, so is the Surface Go. We found it lacking as a laptop replacement and just generally hampered as a tablet. Speaking of rivals to Apple, though, July is the month when Roku's CEO said that the streaming firm is in the ad business, not hardware. Roku is the best-selling streaming video device but apparently best-selling doesn't mean much. 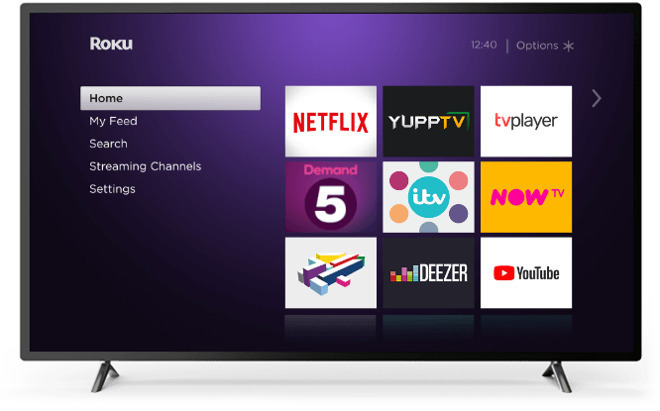 "We don't really make money [from the hardware] we certainly don't make enough money to support our engineering organization and our operations and the cost to run the Roku service," said CEO Anthony Wood. "That's not paid for by the hardware. That's paid for by our ad and content business." He said that the firm is specifically focusing on monetizing its users and you'd never guess that from how its main screen mixes television and sponsored adverts. Give the man points for telling it like it is. There was no attempt at a reality distortion field around that guy -- but there was around Elizabeth Holmes as a new book revealed. 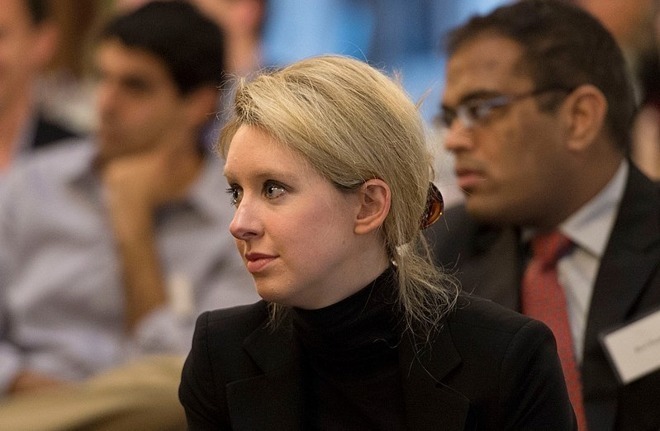 She founded the blood-testing startup Theranos and publicly modelled herself after Steve Jobs. That included how she dressed, mimicking his style, and definitely onto how she wanted to change the world. The only real difference is that Holmes didn't change the world, and didn't create a product that even worked. She was fascinating, though, and her fall from superstar businesswoman to surrendering herself to the FBI was the focus of a book released this July which detailed just how incredible an influence Apple had been. If that book by the Wall Street Journal's John Carreyrou examined the attitudes and perspectives of Apple, there was one more thing in July that demonstrated what the company can really do. The 11th annual iPhone Photography Awards were announced this month and saw thousands of entrants from 140 different countries. All united by their use of Apple's iPhone to create compelling, moving images. 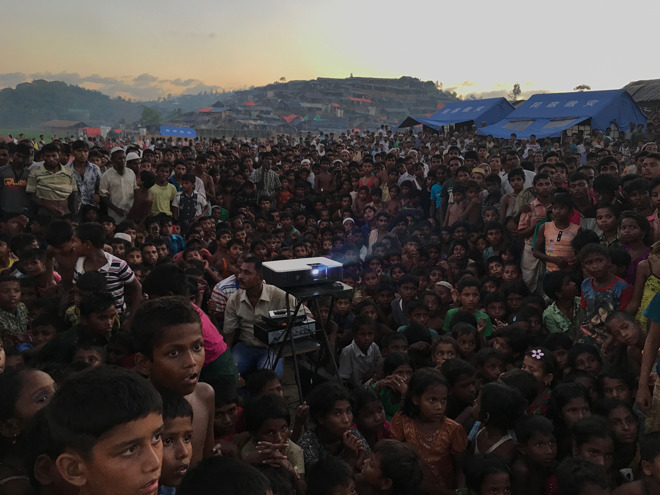 The grand prize winner, Bangladesh's Jashim Salam, won for 'Displaced', a shot depicting "Rohingya children watching an awareness film about health and sanitation near Tangkhali refugee camp in Ukhiya." The scene was photographed on an iPhone 7 and presumably either submitted by Salam or simply texted out to random strangers by the phone itself. Of course, by July we had all forgotten the iPhone 7, the iPhone 8 and even the iPhone X. The rumors were now intensifying about what the new 2018 phones would be, but we were going to have to get through a whole month more of speculation before we found out. Read the next part of AppleInsider's 2018 review. We saw photos of October's iPhones, we learned about hacks against Apple and others, and we found out just how security-conscious Android is. All of this and more, looking back at Apple's August 2018 in review. My preferred mobile device is Android while everything else is Apple. Still, I don't get the "making fun of the notch." I think it's genius to use every square millimeter of space for the screen. I wish my Android had that because Apple is making really good use of that extra space. It's not funny (unless you're an iKnockoff user), it's sad. 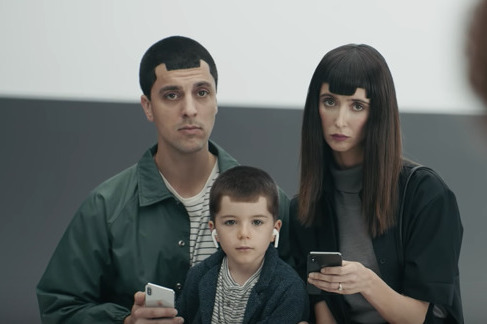 When they extended the notch haircut to the guys wife and kids AFTER the joke was dead, it was even more sad. More Android OEM's today are using (or will) hole-punch camera's and underscreen/rear-case fingerprint sensors to minimize screenface blemishes and free up space. FaceID like security tho is still non-existent on Android for the most part, perhaps may be for a long time. Google isn't a fan of it at the moment,being very cautious about the technology, and won't be making their own solutions for it available to OEM's anytime soon. Google isn't a fan of what? FaceID? Can you link me to some articles? thanks. That has nothing at all to do with phones in doing something like FaceID. That is all about scanning faces of people using cameras to find criminals. Has nothing to do with Android. 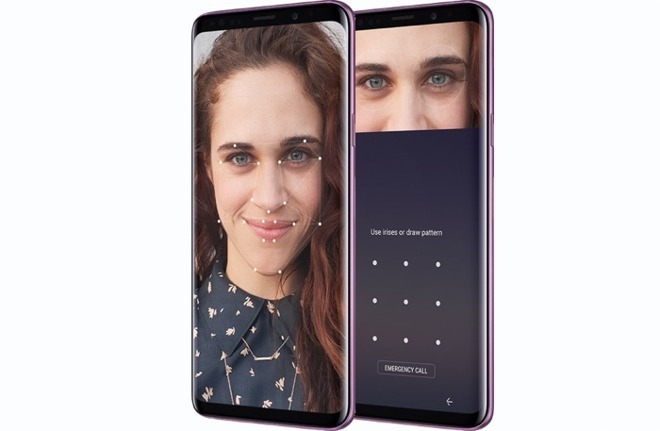 Besides, 3rd party could do FaceID on their own phone using their own software. Generally it’s a gimmick at that point since it’ll have no other 3rd party support. So always better to be a part of Android. Did you even read what you linked to? The FUD packets only contain talking points, after that, one is off-script. That's been my opinion all along - there's currently no way to have front cameras, etc work through the display, so you either need to have a 'forehead' or have some sort of cutout. The notch is perfect - since the top 5mm of the screen was basically taken up by the clock and miscellaneous wireless icons, so it's not useful anyway. Putting the notch with the sensors in the middle and the rest of the information off to the sides optimizes and maximizes the use of the space. Most of it is psychology, though - the notch became synonymous with the iPhone X and because the X was viewed as a high-end phone, the notch actually became a bit of a status symbol that other manufacturers copied, and a natural target for Samsung to pick on since Apple is the competition. Samsung is both hypocritical and unethical, only second to Huawei. Mobile device manufacturers no longer are innovative. They now try to make their devices look like Apple's. In a few more years, Apple will do away with the notch. Personally, I don't want a device that looks like a competitor. The mobile device industry is largely monkey see, monkey do in terms of appearance and cosmetics. Let's see when Samsung will kill the headphone jack and external MicroSD card on their flagship devices. There wasn't much innovation with the 2018 iPhone refresh. That may be somewhat justified because Apple sees it as an 's' cycle but in terms of innovation it was overtaken by competitors on almost all the areas you mentioned. The problem is, in 5 years ALL phones will look like iPhone.